HBL Power system Ltd, Hyderabad a listed company with expertise in many kind of batteries supplying to Aerospace industry, Shipping, Power electronics reposes trust in GQS for trainings and advisory services in AS 9100 related topics such as First Article Inspection and Root cause analysis. GQS has been in the forefront of conducting open house and in house trainings on General topics related to QMS or specific training requirements of AS 9100. Our training team is qualified to customise trainings to suit the organisational manufacturing process. Most trainings are supported with lot of workshops to make it more practical and understandable. The team from HBL appreciated our efforts in customising the training module. Visit our page on AS 9100 for an insight on the subject. Why is 9001:2015 needed ? GQS consultacy , truly believes that customer loyalty is return business. based on the need of the clents,an organisation can target the demographics and enhance the revenue by delivering the quality products which client is looking for . As ISO 9001:2015 enhances the quality standards of the products, its needed for the company. Here is the platform provided by GQS consultants, who are promising and provide positive training and guidance in procuring the certification with ISO standards. A team of good leaders will establish unity and direction quickly in a business environment. Their goal is to motivate everyone working on the project, and successful leaders will minimize miscommunication within and between departments. GQS CONSULTANCY, plays a vital role that is intimately intertwined with the ISO 9001 principles. Every person in the company is responsible for its positive growth and success. Involvement of GQS consultancy in training will lead to a personal investment in a project and in turn create motivated, committed workers. These people will tend towards innovation and creativity, and utilize their full abilities to complete a project. If people have a vested interest in performance, they will be eager to participate in the continual improvement that ISO 9001 facilitates. The objective of every company is to enhance its productivity through quality product delivery. Through increased performance, a company can increase profits and gain an advantage over competitors. If a whole business is dedicated to continual improvement, improvement activities will be aligned, leading to faster and more efficient development. Ready for improvement and change, businesses will have the flexibility to react quickly to new opportunities. GQS consultancy helps the company in the auditor training that will surely aim at progressive and positive monetary growth of the company and clients. Sustainability – A combination of Environment management, Safety / health of employees, Social accountability and Economics related to all these topics forms the basis of a strong sustainable business. 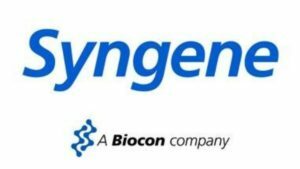 To enable and sensitive this business sustainability, GQS has kick started the consultancy project at Syngene a Research company (part of Biocon) located in Bangalore. From Carbon Footprint, Greenhouse gas calculations, Water foot print GQS with its rich expertise has started this big initiative of implementation and disclosure to the community about its commitment to install the best practices for its business sustenance. Interested in implementing Sustainability or ISO 26000, ISO 14001, OHSAS 18001, SA 8000 call 9845313910 or 9845078743 to know more about the advantages of documenting and disclosure to the public. ARYA VAIDYA PHARMACY in Palakkad signs up with GQS for implementation of Good manufacturing practices GMP for pharmaceutical manufacturing ISO 22716. 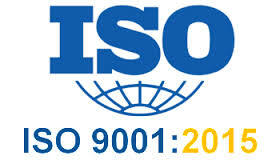 ELIOTT Compressor a leading company in the field of compressors has started the implementation of ISO 9001:2015 Quality Management system. Leeboy a Singapore based company and a part of TEMASEK holding, is a leading construction equipment manufacturing company located in Bangalore. GQS has started the process of ISO 9001:2015 and ISO 14001:2015 Integrated management system at their plant. Call 9845313910 / 9845078743 to know more details about the latest 2015 version of the standards. ISO 9001 and ISO 22000 Quality Management system and Food safety management system implementation has started since October 2015. The project is slated to be completed by Feb 2016. The complete plant visit has been carried out during gap analysis. Detailed documentation architecture and risk assessment carried out has helped the organization to know their strengths and opportunities for improvements. SAI Packaging a leading Primary and secondary packaging manufacturing company is now certified to British Retail Consortium by DNV. The BRC IOP Institute of packaging standard was implemented in over 4 months at Sai packaging. The entire requirements were studied at length and lot of trainings were conducted to impart the best Good manufacturing and good hygiene practices all over the factory. The challenges faced in implementing were broken down into various doable tasks and the entire team of Sai packaging gets the credit of BRC IOP Certification to B Grade by DNV auditors. PROK DEVICES a leading electronics manufacturing company has undergone the trainings on ISO 9001:2015. The latest version of the standard is applicable to any kind of organization. Most organizations which are certified to the older version of 2000 and 2008 have the deadlined of March 2016 to migrate to the latest version. For trainings, consultancy, Internal auditors training and Lead auditor courses GQS has always been in the front runner. With approved NABET Consultants and experienced consultants most large organizations and SME have benefited from the consultancy project.